By giving inanimate things a voice, are we muting our interpersonal relationships? At CALLR, we know how powerful voice interactions are. Hearing someone on the phone is reassuring, familiar. Voice connections are still more reliable, delivery-wise, than text messages. Calling someone on the phone is something virtually anyone is comfortable doing, old or young, “connected” or not. But let me play devil’s advocate for a moment. Is it possible that voice technology is leading society down a dangerous road? Let me explain. Voice technology and voice user interfaces (VUIs) are popping up everywhere. Amazon’s Alexa or Google Home are excellent examples. As screens get smaller, and the IoT more ubiquitous, consumers need a convenient way to interface with their connected world. Voice, as a hands-free mode of communication that pretty much everyone possesses, is a natural solution. Asking your connected thermometer to lower the temperature or ordering your car to turn off the radio is a lot more convenient than typing those commands – especially if you’re taking care of 3 hyperactive children or navigating a tricky intersection. In a few years, consumers might be talking to their refrigerators, homes, cars, computers, appliances – basically, inanimate objects – all day long. But my question is this: what kind of unintended emotional consequences might these new person-to-object interactions have? More emotional connection via VUI is better… right? Image from Speak Easy, a report co-authored by J. Walter Thompson Innovation Group London and Mindshare Futures. This power of the human voice is being taken seriously by designers of our connected environments: TechCrunch reported this April that, “Amazon’s Alexa is going to sound more human,” seeing as she is now able to whisper, pause for emphasis by taking a breath, adjust the rate, pitch and volume of her speech, and more. Clearly, for Amazon, bringing Alexa to life means creating a believable voice for her. And they’re right – voice is an aural fingerprint, a unique representation of someone’s personality. Why else would Mark Zuckerberg choose the commanding voice of Morgan Freeman for his own virtual assistant, Jarvis, or the seductive Scarlett Johansson be cast as Samantha in ‘Her’? Speaking is emotionally evocative. For many, this is an excellent way to do something that’s very much needed – break our dependence on screens and inject some emotion into our relationship with tech. MIT’s David Rose, for example, argues convincingly in his book, Enchanted Objects, for creating connected devices rooted in humanity’s fundamental desires as expressed in fairytales and myth. Hence Rose’s invention of an ambient umbrella that glows blue when rain is near (Lord of the Rings fans will understand this reference), or an ‘energy orb’ that shifts colors to indicate the energy consumption rate of your home. Rose is skeptical of the screen as the primary interface for the connected future. And it’s not just him – anyone who’s watched the hit series Black Mirror, or even the cult classic Blade Runner, will know what he’s talking about. 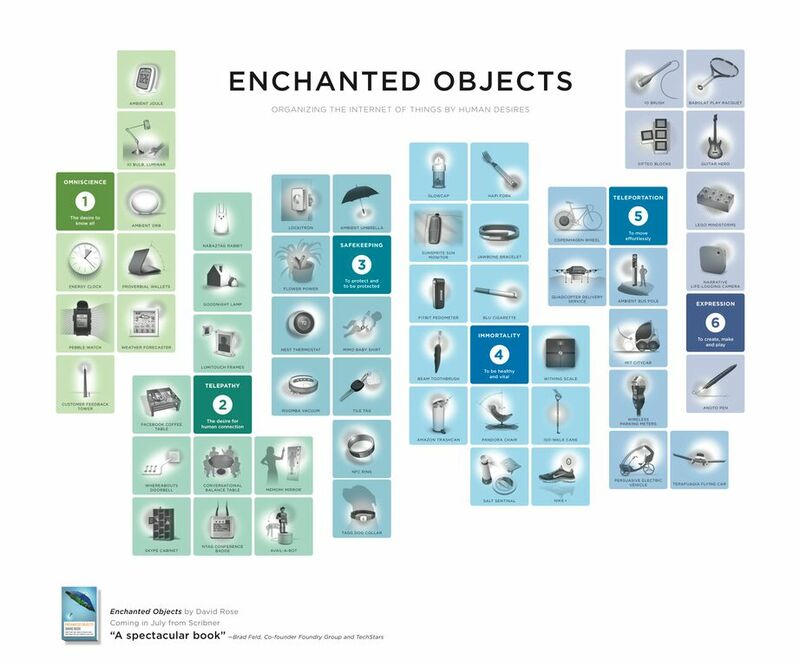 However, Rose does propose a solution: in his ideal world of ‘enchanted objects,’ technology infuses ordinary things with a bit of magic to create a more satisfying interaction and evoke an emotional response (check out the chart above). 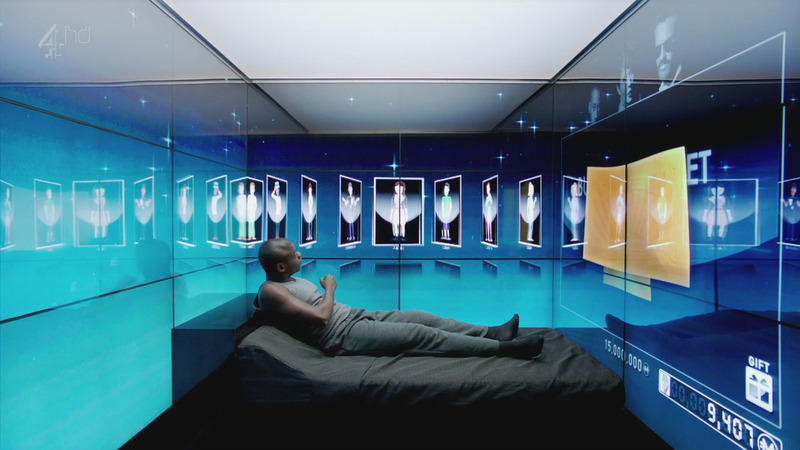 Rose would therefore probably feel quite optimistic about VUIs’ ability to make this vision a reality, both because voice user interfaces are an alternative to the “black slab,” as well as because voice is already an emotionally charged medium. Isn’t it better to ‘chat’ to a connected object, like you would a friend, than to be constantly typing with your eyes glued to a screen? Isn’t it better that we can add voice communication to our connected objects that will soon come to dominate our public and private spaces? The fact that we let machines distract our precious attention away from our human companions is already a real problem. Recent work by Dr. James Roberts showed that nearly half of participants in a study on relationships and smartphones reported being ‘phone snubbed’ by their partner. Worse, people who reported higher levels of so-called ‘phubbing’ also reported higher levels of relationship conflict. You can probably see where I’m going with this. People are already letting their personal devices get in the way of their personal relationships. As we create even more human-like, emotionally charged objects that we talk to, confide in, and question all day long, won’t this make us even more emotionally dependant on technology, at the expense of our ‘true’ interpersonal relationships? Are we that far away from a world where, at the end of a long day, one might prefer discussing with their refrigerator what to have for dinner instead of running it by their spouse? Would a moody teen prefer confiding in a connected diary than in a parent? What about asking a connected ‘magic mirror’ how you look instead of a friend? Would you get an answer you like better? Just how easy will it be in a few years to surround ourselves with always listening, ever-amenable, ersatz ‘friends’ that can cater to our emotional needs without asking anything from us in return? The reality of interpersonal connection is messy and counterintuitive. “We slip into thinking that always being connected is going to make us feel less alone.” Sherry explained. “But we’re at risk, because actually it’s the opposite that’s true. If we’re not able to be alone, we’re going to be more lonely.” And to learn to be alone, we need to establish some boundaries with technology. Sherry has a few tips: “Start thinking of solitude as a good thing. Make room for it. Find ways to demonstrate this as a value to your children. Create sacred spaces at home — the kitchen, the dining room — and reclaim them for conversation.” Dr. Robert’s suggests something similar: designate “no cell” zones in your home, try a phone-free bedroom for one week, keep phones off the table, practice phone etiquette. As voice technology becomes more sophisticated and widespread, finding its way into our transportation systems, public spaces and homes, we need to remember why it’s there. Ambient intelligence researcher Norbert Streitz makes a useful distinction between System-Oriented, Importunate Smartness and People-Oriented, Empowering Smartness. The former creates genius tech which ends up frustrating people, and the latter puts machine intelligence at the service of the human experience. This is pretty much the idea – that we need to keep focused. In ten or twenty years, ambient intelligence, VUIs and the Internet of Things might create a connected world we could end up getting lost in. It’s up to the designers and consumers of this connected world to remember why we’re driving these technological advances in the first place, and keep an eye on how our new technology is shaping our collective behavior. In other words, technology should work in the service of the human experience, and not the other way around. In an era of cyberbullying, ‘fake news’ and the like, this is paramount. Walter Thompson Innovation Group London and Mindshare Futures, Speak Easy Report, pg. 38, April 2017. John Suler, Psychology of the Digital Age: Humans Become Electric (Cambridge: Cambridge University Press, 2016), 103.